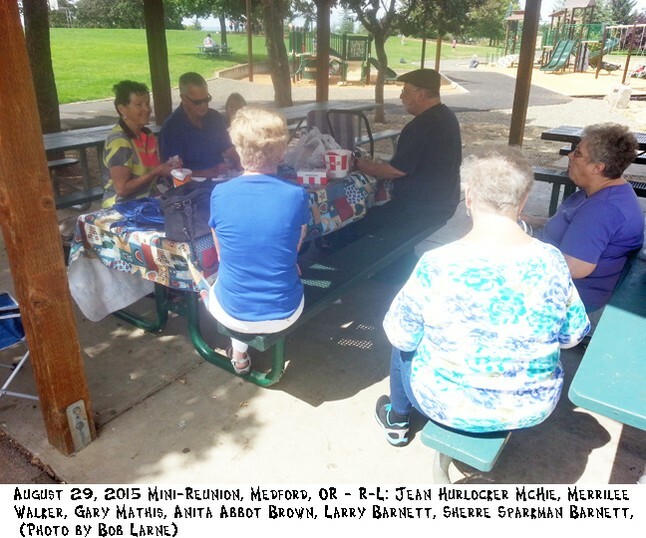 MINI CLASS REUNION IN MEDFORD OREGON! 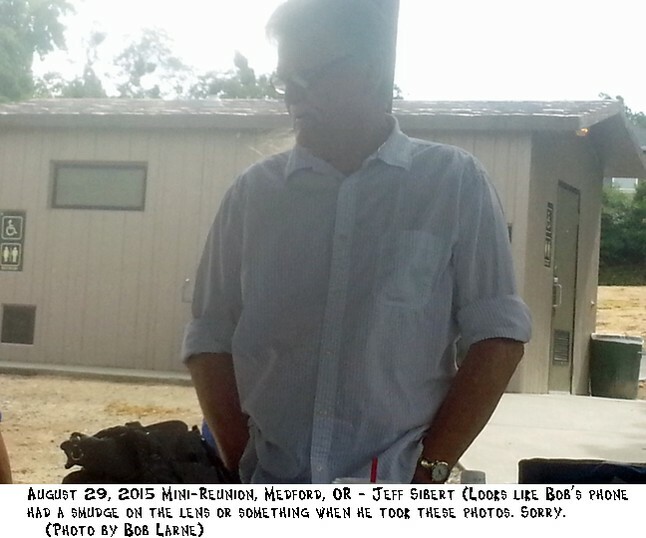 SATURDAY, AUGUST 29th, 2015, 1 to7 P.M. 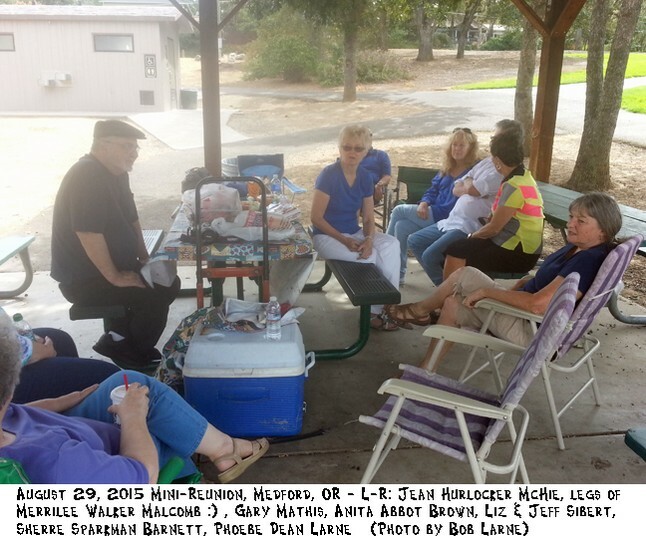 This Mini Reunion was scheduled by Gary Mathis at a Pavilion at Donahue Frohmyer Park, Medford, Oregon, Sat Aug 29th. 2015. 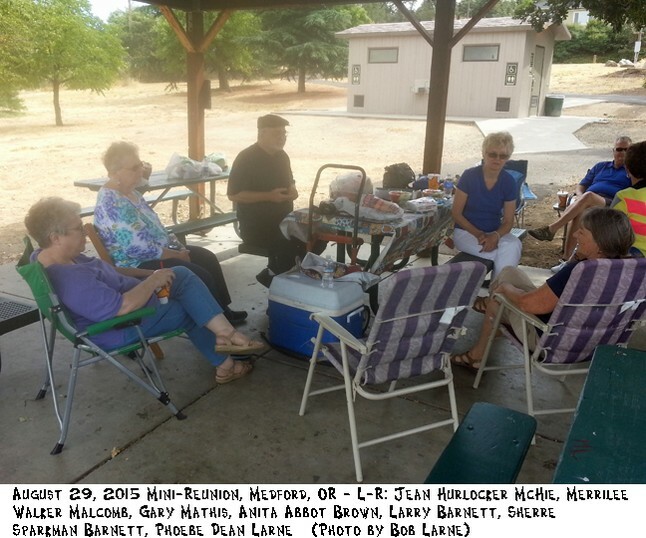 Seven classmates (and some spouses) attended: Gary Mathis, Jean Hurlocker McHie, Merrilee Walker, Anita Abbot Brown, Larry and Sherre Sparkman Barnett, Jeff and Liz Sibert, Bob and Phoebe Dean Larne. We all enjoyed visiting and learning a little more about each other.